One night on an English farm, Major the boar recounts his vision of a utopia where his fellow creatures own the land and are no longer the slaves of humans. Before long his dream comes true, and for a short while all animals really are equal. But the clever pigs educate themselves and soon learn how to extend their own power, inevitably at the expense of the rest of the community. 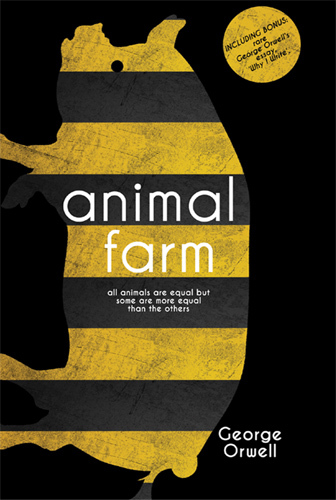 This well-loved tale is, of course, a satire on the Soviet Communist system that still remains a powerful warning despite the changes in world politics since ‘Animal Farm’ was first published. 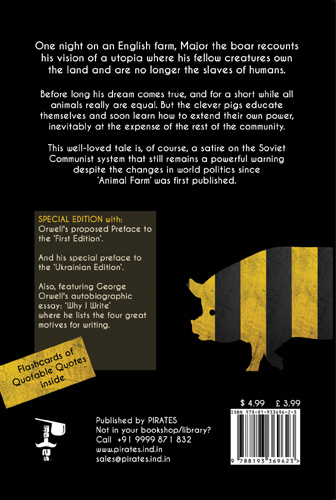 This latest Enhanced Edition contains various add-ons like George Orwell's proposed Preface to the ‘First Edition’ and special preface to the ‘Ukrainian Edition’. This book also features Orwell's autobiographic essay: ‘Why I Write’ where he lists the four great motives for writing. It also contains colored flash-cards of Quotable Quotes from the book. 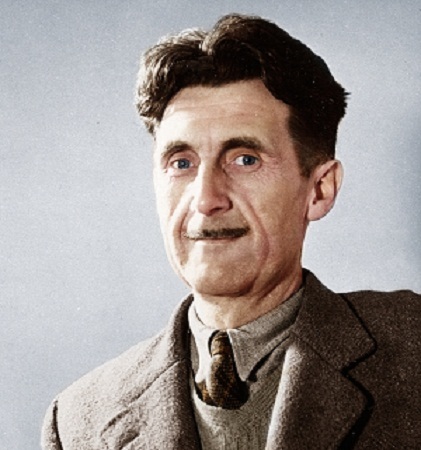 Orwell wrote literary criticism, poetry, fiction, and polemical journalism. 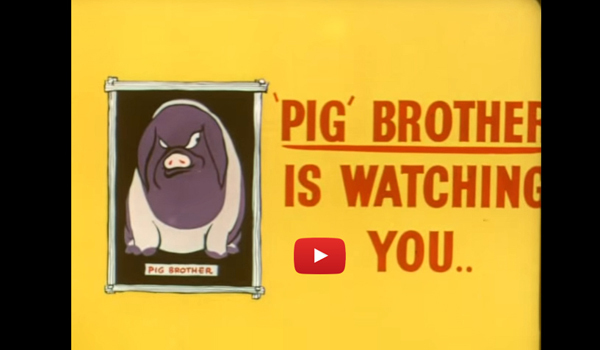 He is best known for the allegorical novella Animal Farm (1945) and the dystopian novel Nineteen Eighty-Four (1949). His non-fiction works, including The Road to Wigan Pier (1937), documenting his experience of working class life in the north of England, and Homage to Catalonia (1938), an account of his experiences in the Spanish Civil War, are widely acclaimed, as are his essays on politics, literature, language, and culture. In 2008, The Times ranked him second on a list of “The 50 greatest British writers since 1945”.